22 year old pilot William A Salton of St. Catherines, Ont. 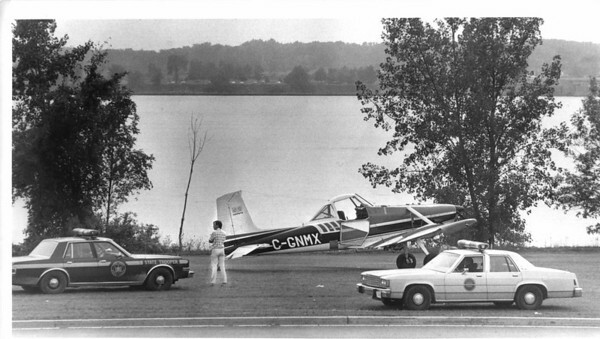 was forced to make an emergency landing in his single engine Cessna between Niagara River and Robert Moses Pkwy. near 4th Street enterance. Photo - By L. Massey - 9/6/1987.